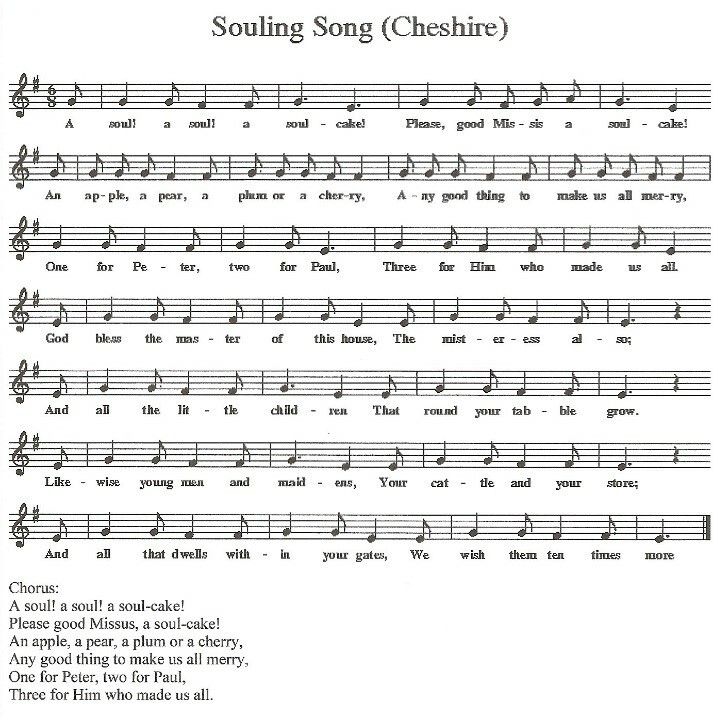 The old English custom of souling or soul caking is thought to date back to the tenth century or even pagan times. The soul cakers would go from house to house singing either a begging song or a plea for prayers for the dead. They would put on a play for the residents. These plays would often be performed out of necessity when farm work was in short supply. Soul cakes were small, spiced fruitcakes, not unlike our hot cross buns, and these were given out to the performers, as well as drink or money. It could help to keep their family fed during lean times. Those involved with such groups were often unwilling to admit to it, as they did not like to confess to begging. However, it could be quite lucrative. It is said that three nights of mumming (acting out the plays) often raised as much as a whole month’s wages for the agricultural labourers who mostly made up the groups. Commonly known as mummer’s plays, they were a traditional entertainment that took place at various times of the year. They usually coincided with a religious festival. In North Yorkshire and Nottinghamshire it was Plough Monday, the first Monday after Twelfth Night. In the North East it was Easter and they were known as pace-eggers or peace-eggers. In Cheshire they were performed around November 2nd, All Souls Day. The plays usually consisted of a fight between St George and his adversaries with names like Slasher and Hector, which would result in one of the characters being killed and brought back to life by a comical quack doctor. The Hooden Horse often accompanied the soul cakers with its head made from the skull of a horse, its eyes from bottoms of glass bottles and a hinged lower jaw that could snap or bite. It was held by a man covered in a blanket or sheet known as the “Hoodener”. The Hooden Horse had a companion, a groom with a whip. The scripts of the mummers’ plays were not usually written down but passed by word of mouth; this probably led to variations in the play even in the same village. Mumming had its heyday towards the end of the 19th century and the earliest years of the 20th century. Most traditional mummers groups stopped at the onset of the First World War in 1914. Some groups continued after the war and beyond the 2nd World War but most did not. The custom probably ended in the 1950’s. However, in the 2nd half of the 20th century many groups were revived, mostly by folk or dance groups. The revived groups usually perform in pubs or in the street and the money collected is for charity rather than themselves. 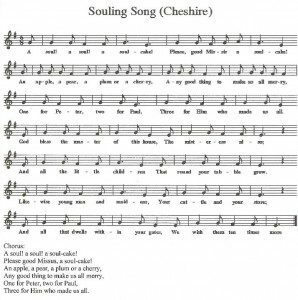 In Cheshire a number of soul caking groups still exist, including Comberbach, Antrobus and Chester. Tom Hughes, education officer at Weaver Hall Museum, Northwich, performs in a group known as “Jones” Ale Soul Cakers. 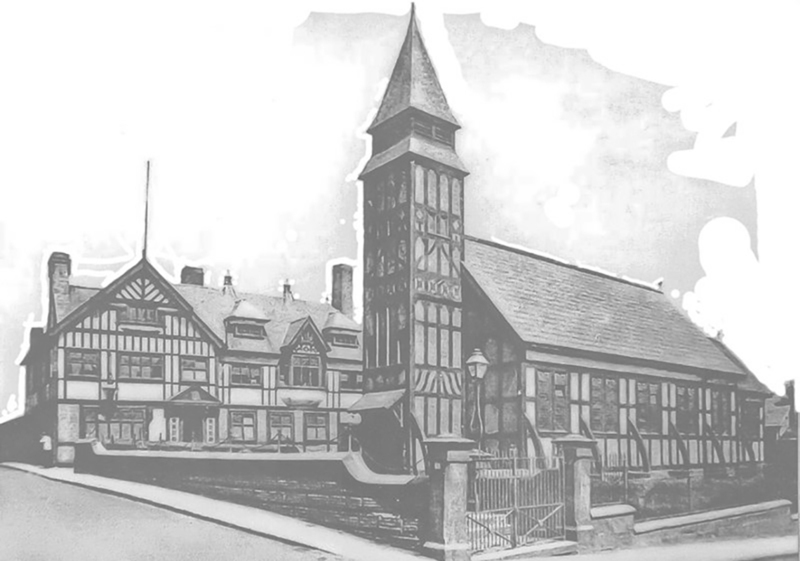 The group began in the 1970’s using a script from a village near to Chester. The group usually perform their play round about the 31st October, Halloween, because of its popularity during recent years; because of renewed patriotism they also perform it on St George’s Day.